Tutor.com – Gratis – Una Tutoría en línea servicio que conecta a los estudiantes calificados maestros en matemáticas, ciencias, estudios sociales, y de Inglés a través de Internet. Tutoría en línea está disponible 3-9 pm todos los días. Nota: la contraseña es el número de pin de la tarjeta de la biblioteca de 4 dígitos. Biographical Dictionary – Features more than 33,000 notable people from ancient times to today. It has some of the characteristics of Wikipedia; users can edit and contribute to the biographies on the site. Biography in Context (in GALENET) – Contains biographies searchable by date of birth, nationality, and more. Note: Yonkers Public Library card needed to access information from home. Kids InfoBits – For students in kindergarten through grade 5, featuring a kid-friendly interface with full-text elementary reference sources and magazines. TumbleBooks – An online collection of animated, talking picture books, reading comprehension quizzes, educational games, and teacher resources. ABCMouse.com (available in library only) – Helps kids learn through phonics, and teaches lessons in math, social studies, art, music, and much more. For ages 2-6 years old. For a 3-week home access trial, click here. Britannica Academic – Includes Encyclopedia Britannica plus Merriam-Webster’s Collegiate Dictionary, magazines and periodicals, and many other research tools. Britannica School – A source for all grades (Pre-K-12) and all reading abilities. Available at three levels–elementary, middle, and high. Literature Resource Center features information on literary figures from all time periods in such genres as fiction, nonfiction, poetry, drama, history, and journalism. NoveList Plus – Reader-focused features such as reading recommendations, series information, book reviews and more. NoveList K-8 Plus – Specifically targeting grades K-8. Provides recommendations, series information, book reviews and more. General Onefile (in INFOTRAC) – A one-stop source for news and periodical articles on a wide range of topics. Millions of full-text articles, many with images. Updated daily. Historical NY Times & NY Times Full Text (1851-2014) – Includes all the articles published since the first issue of the paper in 1851. Provides full text and full-image articles with digital reproductions of every page, every article, and every issue in PDF format. Note: Yonkers Public Library card needed to access information from home. GCFLearnFree.org creates and provides quality, innovative online learning opportunities to anyone who wants to improve the technology, literacy and math skills needed to be successful in both work and life. It contains over 1100 different lessons ABSOLUTELY FREE. Khan Academy contains over 4500 videos covering K-12 math; science topics such as biology, chemistry, and physics, and the humanities; and playlists on finance and history. Each video is approximately 10 minutes long, designed for viewing on the computer. Learning Express – Offers tutorials for building school skills in math, science, social studies, and English. O pposing Viewpoints in Context – Viewpoint essays, articles, statistics, primary documents, and other reference sources on social issues. 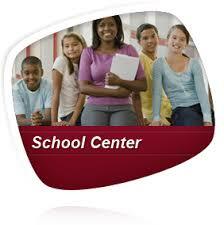 School Center – Offers worksheets, lessons, videos, and more resources for study, test prep, and careers. 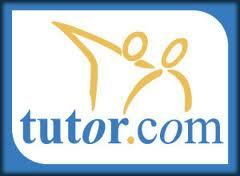 Learning Express – A collection of practice tests including ACT, SAT, TASC, PRAXIS, COOP/HSPT, and study aids.